I don't think the cloak was a traditional Star Trek style cloak, it seemed to be like the prototype cloaks they're developing today, or the cloak on the SHIELD Helicarrier, or maybe Bond's car in 'Die Another Day'. 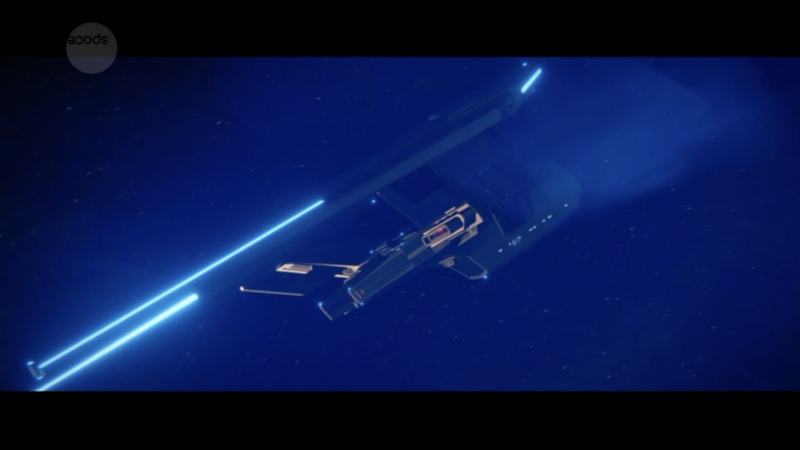 Wrapping an image around the ship, instead of actually making it see through..
And my theory is that the nacelles wrap up for stealth reasons, makes the profile smaller. Yeah, I think the "boxy" look and the folding up is supposed to be part of it's camouflage system. STO designed their own fed stealth ships a few years ago, they were all super flat and angular. Reminded me of US Stealth planes. Could be designed to not so much cloak as give off the signature of some other ship like a small freighter or shuttle when needed The double decker inner round control room oddly reminds me of Forbidden Planet's C-57D so in a way it's all come "full circle"
I thought it had a mirror-like surface, not black. But I can't find any pics online to confirm. There seems to be a dearth of actual screencaps from STDisco episodes on the web, even at the usual places. I don't think that the ship has a Captain. There's dozens of two or three people teams, who queue to get where they want to go, and do what they have to do to get there. Deledrius, saddestmoon, King Daniel Beyond and 1 other person like this. Spoiler is kind of in the title edited. There still has to be somebody to oversee the operation of the ship, decide which teams will get dropped off first, etc. I like it. Looks like a proper "spy"-ship. Looked like a long range shuttle from TMP to me. Rather unimpressive. I said "queuing" which would be terribly inefficient, if you get taken places in the ordered that that you requested to be taken somewhere. 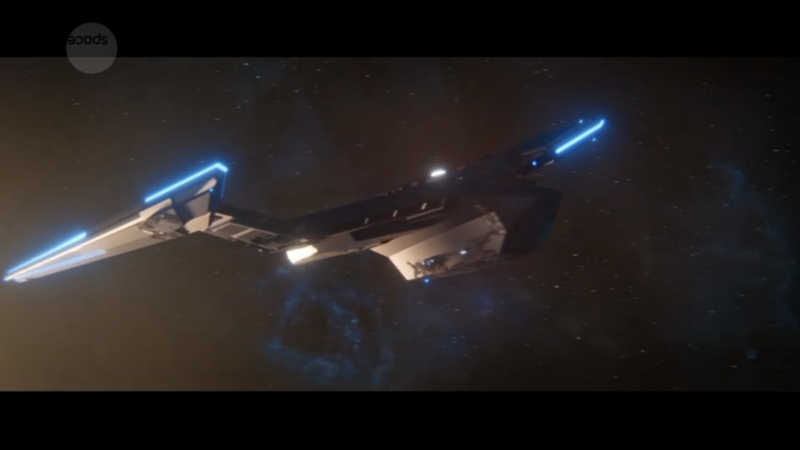 AI or an uncoruptable coordinator off ship would be my guess, if this ship (or fleet of class of ships) is more like a drop ship rather than a star ship. Anything that helps push back against DSC seeming to turn 31 into "Just like regular Starfleet, but badass" is good in my book. Riding around in an invisible robot ship like fleas on a dog. Awesome. It'd be better if they actually had to, you know, be spy-like and get around using guile to make up for limited resources and lack of overt government support for their unofficial, illegal, criminal cabal, but, hey. Deledrius, Amaris, Phil123 and 3 others like this. Shouldn't this be at the Tech forum? I mean, I'm itching to go to nerd overdrive over the details, implications, suggestions and connections, but Thermia really is the best location for that, for reasons of mental hygiene. I agree it did look like the TMP shuttle, which is not a surprise as the design is very movies series looking visually (as opposed to TV series production values). Deledrius and publiusr like this.